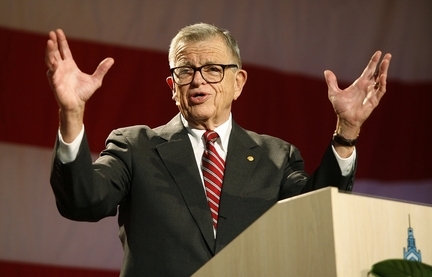 Former White House counsel Charles Colson, convicted for his involvement in the Watergate scandal as an assistant to President Nixon, is often asked about the resurrection and if it could be a hoax with a cover-up to make it look like Christ rose from the dead. He answers: "The Watergate cover-up reveals the true nature of humanity. Even political zealots at the pinnacle of power will, in the crunch, save their own necks, even at the expense of the ones they profess to serve so loyally. But the apostles could not deny Jesus, because they had seen him face to face, and they knew he had risen from the dead. No, you can take it from an expert in cover-ups-I've lived through Watergate-that nothing less than a resurrected Christ could have caused those men to maintain to their dying whispers that Jesus is alive and is Lord. Two thousand years later, nothing less than the power of the risen Christ could inspire Christians around the world to remain faithful-despite prison, torture, and death. Jesus is Lord: That's the thrilling message of Easter. It's a historic fact, one convincingly established by the evidence-and one you can bet your life upon." Christ's resurrection is a historical fact. It happened on the first day of the week following Passover in the city of Jerusalem. Our faith is grounded in history, not a philosophy. Dear Lord, thank You that You not only predicted Your resurrection, but You also fulfilled it so we may have hope of eternal life through You. In Jesus’ Name, Amen. Is God seen though you? A prominent minister in Los Angeles was holding special revival meetings in his church some years back. Among those attending night after night was a gentleman obviously unacquainted with the general program. After a few meetings the preacher made a special point of speaking to him, and discovered that he was not a Christian. "What do you think of the Christian religion?" The preacher asked. "Oh," said the visitor, "Christianity is very interesting as far as it goes, but I could never be a Christian." "Because I could never believe that I could get salvation from a dead Jew," was his reply. "Neither do I," said the preacher. "Oh, yes, you do," he said. "Don't you Christians claim that salvation comes through the death of Christ?" "Not through His death alone," said the preacher, "but rather because Christ rose from the dead." "Ah," said the visitor, "you can never prove that to me." "My friend, I have not given you my most important reason. I know that Christ is living because He lives His life in me." "What do you mean by that?" Asked the man. For the next hour the preacher told what Christ meant to him, showing from both the Old and the New Testament how the Holy Spirit operates in the life of one who yields himself to God. "I'm beginning to understand," remarked the stranger, "and I must know more about this. I feel a need in my own life." Before parting they lifted their hearts to God in prayer. 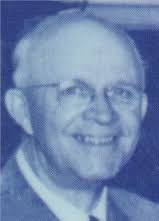 Reaching his home that night, the minister, Pastor A. H. Ackley, slipped into his study and penned these well-known lines. The next morning he set them to music, and thus was born one of our best-known gospel songs. Here are the first stanza and chorus of those words that so well emphasize the fact that Christ lives. I know He lives? He lives within my heart. The greatest argument in favor of Christianity is not the organization of the church; not her literature nor her buildings; not her institutions nor her schools of learning; not even her hospitals nor her mission fields. Rather it is the power of God seen in the lives of those who make up the church. Dear Lord, help us, Your church to show those around us that You are alive and living in each of us. In the Name of Jesus, Amen. In 1973, archaeologists uncovered a cache of date palm seeds in ancient Masada, Israel. 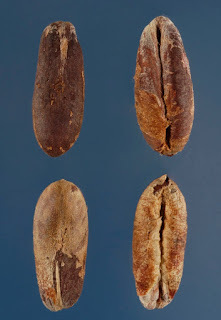 Scientists estimated that the seeds were produced about 70 AD. The Romans called it Phoenix dactylifera -- "the date-bearing phoenix" -- because it never died and appeared to be reborn in the desert where all other plant life perished. The seeds were stored at Israel's Bar-Ilan University where they remained for the next thirty years. In November 2004, Dr. Sarah Sallon approached the university and asked for some of the seeds. "When we asked if we could try and grow some of them, they said, 'You're mad,' but they gave us three seeds," Sarah said. Sarah's friend, biologist Dr. Elaine Solowey also didn't have much faith that the seeds would germinate, but Elaine carefully prepared the seeds for planting. First she soaked the seeds in hot water to make them once again able to absorb liquids. Then she soaked them in a solution of nutrients followed by an enzymatic fertilizer made from seaweed. Tu B'shevat, a Jewish holiday known as the New Year for Trees, fell on January 25, 2005. Elaine chose that day to plant the seeds in new potting soil, hook them up to a drip irrigation system, and then she left them locked up. Elaine occasionally checked on the plants for a few weeks, and in March 2005, she noticed a sprout. By November 2005, the sprout had turned into a sapling that was 3 feet high with nine leaves. 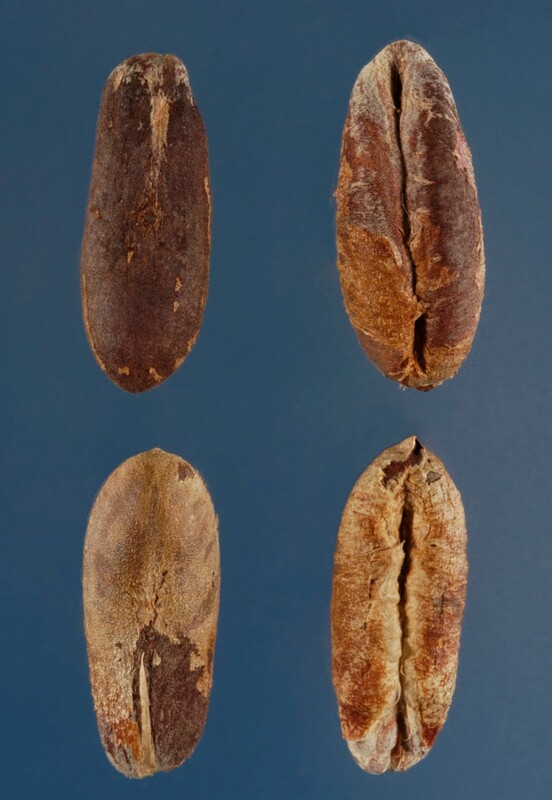 Nicknamed Methuselah, the seeds is oldest seed to ever germinate. God has the power to bring life to that which was dead. His greatest triumph is the resurrection of Christ. Dear Lord, thank You for your new life we have in You. Thank You that through You we can have eternal life. In The Name of Jesus, Amen. Have you asked God to look at your heart? Alice smiled. "I'm going hunting with you!" Jake had many reservations about this, but reluctantly decided to take her along. When they arrived at the hunting site, Jake set his wife safely up in the tree stand and told her, "If you see a deer, take careful aim and I'll come running back as soon as I hear the shot." He walked away with a smile on his face knowing that Alice couldn't bag an elephant, much less a deer. However, within ten minutes, Jake was startled as he heard an array of gunshots. Quickly, Jake ran back. As he got closer to her stand, he heard Alice screaming: "Get away from my deer!" Confused, Jake raced faster towards his screaming wife. And again he heard her yell, "Get away from my deer!" Followed by another volley of gunfire! Now within sight of where he had left his wife, Jake was surprised to see a cowboy, with his hands high in the air. The cowboy, obviously distraught, said, "Okay, lady, okay!!!! 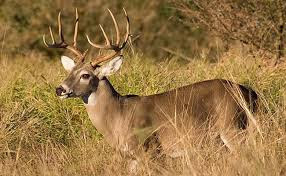 You can have your deer!!! Just let me get my saddle off it!" I suppose we've all done some pretty stupid things in our lifetime. I can tell you that when I do something stupid, I don't want anyone else to find out about it. In fact, I will go to great lengths to make sure that no one learns about it. I don't want the embarrassment of ridicule. I don't want to hear, "I told you so!" Or "You should have known better!" Or "What were you thinking?!" So I'm reluctant to share my shortcomings. Do you see what David is doing? He is inviting God to take a look at his heart and find all the stupid things that are hidden there. Why would he invite God to do that? I can only think of one reason. David had an absolute trust in God. He knew that God loved him. He knew that instead of ridiculing him or berating him upon finding fault, God would do everything in His power to help David to find restoration and peace of mind. David had the utmost confidence in God. How I desire that in my life! Dear Lord, we know that you are aware of everything in our life, both good and bad. We know that we can't hide from you, but we confess that we often desire to do so. We want to be open like David. We invite you into our heart and ask You to show us our shortcomings, and lead us in Your paths of righteousness. In the Name of Jesus, Amen. Have you ever looked at a stain glass window? What do you see? Probably a beautiful picture. As you look at it you see shattered pieces of glass that have been sanded and polished. The pieces put together by an artist in such a way that you see a beautiful picture. As we look at it we are reminded of our master artist God. Life is full of brokenness. Hearts, dreams, promises, limbs, and hopes all get broken, often leaving us feeling shattered, diminished and depressed. When such lives however, are placed in the hands of their maker, Jesus Christ, through whom all things were made; for without him nothing was made that has been made, they are refashioned by His love. Shattered lives in Christ become prizes of beauty, gladness and praise; a glorious display of His splendor amidst a shattered and broken world. Dear Lord, God how we praise You for Your restorative power in our shattered lives. Give us encouragement, hope and strength today. In the name of Jesus, Amen. And he said to them, Go into all the world and proclaim the gospel to the whole creation. I remember watching a football game one weekend. During one of the plays, a player fumbles the ball and all went down trying to recover the fumble. The person that came up with the ball also came up with a hurt leg. He was helped to the sidelines and was replaced with another player. Over the next few minutes, the play continued, and the camera panned to the sidelines where the player who was injured could be seen walking back and forth behind the bench with another person supporting him. It appeared that he was walking off the injury, which could have been a cramp in his leg. As I was watching the game it made me think of something. During our Christian walk in this world, we will at times be in the game, but at other times, for reasons such as hurt or anger or even needed times of rest, we will find ourselves on the sidelines. As in this sport, we will still observe the "game" of life going on nearby, while others come to our aid to support us in love and prayer as needed. The game will continue on, and soon, we will also be back in it. Dear Lord, thank You for the times that You walked among us, and that at the end of Your time, You gave Your life for us. Lord, help us to be in the game. In the Name of Jesus, Amen. God is there in the debris. A family had lost their home in a tornado; some friends helped them clean up what was left. There wasn't much. 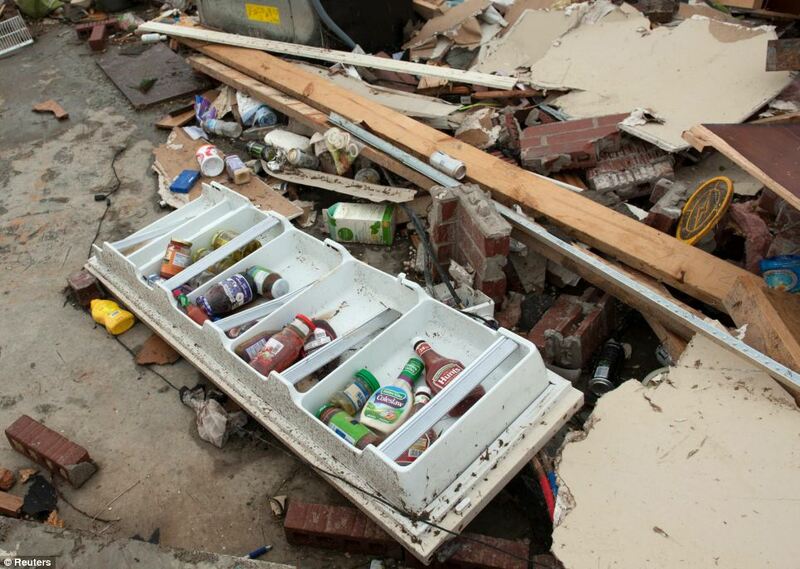 Where their house had once stood was a refrigerator. That's all. Destruction was everywhere. Debris covered the yard and the nearby woods. All day they sorted through the rubble, hoping to find intact some piece of their lives. Sadly they only rescued a few belongings. They uncovered some important papers, a few small personal items, and a handful of photos - not very much to represent an entire lifetime. I'm sure the family treasured those mementos because they're all that remains from their pre-tornado life. Like the devastating winds of a tornado, I've felt trouble beat against my life. Hardships blow into every life, threatening to knock down all that we value. In the wreckage, we can usually find some valuable treasures, if our eyes are open to recognize them and our hearts are open to receive them. As long as we're in this world, we will have tribulation. (John 16:33) But this Bible verse also says, "In me you may have peace." How can we have peace amid tribulation? Peace doesn't result from the removal of unpleasant circumstances. It comes from releasing our own plans and being open to God's plan. Rest comes from fixing our eyes on Him instead of on circumstances. It comes from giving up on living for myself and living for Him instead. From God's vantage point, there is no true debris. I'm confident that He is in the midst of any storm, and I try to keep my eyes on Him to see the gift He gives with the rubble. He has promised that, for those who love Him, He'll bring blessings out of storms. Dear Lord, thank You that when we look around us and see all the debris we can trust that You are there to rescue us no matter how bad it is. In the Name of Jesus, Amen. Have you ever had a lizard in your home and watched it struggle against a window pane trying to get out? It constantly wiggles around and desperately attempts to find a means of escape. It can see the real world outside, but it doesn’t understand what a glass window is. 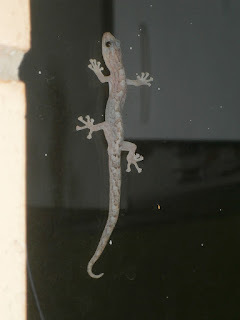 I guess the lizard must think it’s some sort of impenetrable force field that prevents it from joining the real world. 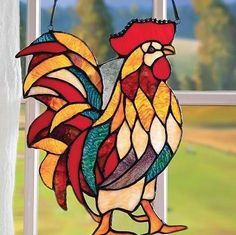 And unless someone opens a window or a door to the outside world, it will keep trying to scratch, bite or claw its way through the glass until it falls exhausted to the ground. I’ve seen people in similar circumstances throughout the years. They feel trapped in their careers or marriages. They feel isolated and frustrated. They busy themselves in the belief that somehow something will happen and they will make the breakthrough into a better, more rewarding and highly successful life. Sadly, I’ve seen them exhaust themselves until there was no more fight left within them. Instead of leading a normal life, their hearts turn bitter and they end up becoming lonely. The world is full of restless people. They are always striving to make more money, be more successful, and to satisfy their desires. They don’t realize that they are empty inside – an emptiness that can only be filled by God. I guess this is why Jesus invites people to come to Him. He knows about our struggles with life, our wrestling with emotions, and our fighting against our feelings. He offers us rest for our restlessness, peace for our minds, and presence for our loneliness. He calls it a yoke, not a burden. Why? It’s because a yoke is shared, where two can carry and pull the burden easier. In other words, Jesus is telling us that He is willing to share our struggles and help us to carry our burdens. Dear Lord, we are constantly applying more stress and pressure in our live and are weary of wrestling against ourselves. Help us come to You to take up Your offer of sharing our troubles. In Jesus’ Name we pray. Amen. 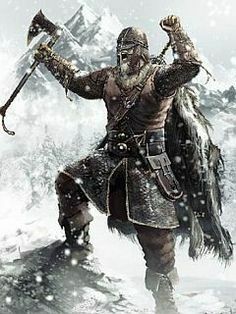 There is no rest when the wicked roam the land, and in the 9th century, the Vikings were doing a fantastic job of terrorizing the Frankish empire. It was, in fact, too easy. They would take their boats and raid the Frankish coast, and then they would sail up the Seine River and loot anything that was in their path. It didn't hurt their cause that after the year 814, the year Charlemagne passed away, his grandsons fought for his throne. They had no time to worry about the Viking threat; they had far more important things to quarrel about! Eventually the Frankish king offered money to the Vikings to leave them alone. The Vikings were satisfied, and they went back to Scandinavia. Only to return the next year for more money! The plunder didn't stop. In 841 they looted the famous city of Rouen and burned the monastery of Jumièges. In 845 they came with even more force: 120 boats and 5,000 men, and they eventually reached Paris. The plundering continued year in and year out, and nothing seemed to be able to stop those Vikings! The Frankish empire lived in absolute terror. Peace did not exist within its borders. Something new happened in 852, however, when the Vikings settled in Oissel land, not too far from Rouen. Their plan was simply to winter there, but they realize their advantage: From their settlement they could raid the region whenever they wanted to, Rouen being one of their favorite places to plunder. Paris was once again looted as well. King Charles had to do something about them, but he didn't have the necessary manpower to defeat these stubborn Vikings. Instead he signed a treaty with the Viking leader, Rollon. In return for a peaceful coexistence, the King offered them territory that corresponds to today's Haute-Normandie, and in 912, almost a century after the Vikings first began to plunder France, Rollon was christened, taking the Christian name "Robert". Robert became the count of Rouen as well as the first Duke of Normandy. It is not without reason that Normandy became one of the most powerful provinces at that time, and even more importantly, peace and rest finally returned to the Frankish empire. More than 1000 years later, D day took place on Normandy shores, a move that eventually defeated the Nazi menace in France. There too, rest finally occurred after almost 5 long years of sheer turmoil. Just like the Frankish empire in the 9th century, after the creation of the world, rest seemed to be an unknown notion among the inhabitants of the Earth as well. Despite the fact that the book of Genesis is filled with examples of people worshipping God, there is no reference whatsoever, of Sabbath (which means rest in Hebrew). 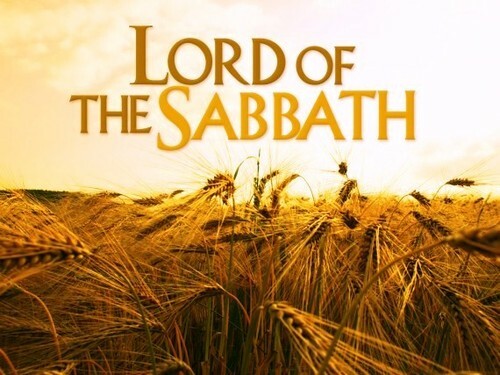 Interestingly the first mention of Sabbath after sin occurred was addressed to the freed Israelites, and it was directly connected with their need of food. Imagine living in a desert. You may have a tent to keep you out of the sun, but your biggest need would be water and food, which is something the Israelites began grumbling about from the beginning of Ex. 16 on. Sorry, but there were no air conditioners available at that time. Even nowadays, where would you find a plug in the desert for such a device? It's clear that God wanted the people to trust Him as the provider of all their needs, and their most urgent needs (food and water) were miraculously provided: manna and quails send from heaven and water from bare rocks. The Israelites had really nothing to worry about, even in the midst of the harshest conditions of a sweltering dessert. I wonder why our society is so stressed, why we never seem to find rest. Is it possible we have become estranged from God? That we've stopped trusting Him in all things? He will provide if we trust Him. The problem is that we may have forgotten what trust really means! Dear Lord, help us not forget what trust is. Help us to daily put our trust in You knowing that You will supply for all our needs. In The Name of Jesus, Amen. Real rest cannot be found based solely on our own efforts. No one I have met was ever able to boast that they had achieved complete rest in their lives. Instead it seems that calamity is mostly the norm in this world. Rest seems so close, so easily to obtain, but more often than not it quickly flees away. One thing that I have discovered is that rest is only available to those who have faith, or as the book of Hebrews describes: “we who have believed enter that rest”. A rest out of this world, only made possible by the merits of Jesus Christ (Matthew 11:28). Adversity will still rise during our lifespan and will try to shake us in our faith, but when standing steadfast and trusting solely in our Maker, we will remain unfazed in His rest. After all, Jesus promised that He would guide us in all things. Why worry, when we have the Almighty One on our side? Didn’t God guarantee us that "He (Jesus) is able to help those who are being tempted" (Heb 2:18b)? In October, 1862, Private Pliny Fisk White joined Company E, 14th Vermont Infantry, and officially became part of the Civil War in the United States. He had an unfortunate turn of events on July 3 at Gettysburg. His right arm was completely shattered by a shell and it had to be amputated. A simple procedure we may think, but not so in those days. Private White was well cared for and was recuperating nicely. Everyone was sure he would go home soon. But even with all of the excellent care, the unexpected happened: Pliny, 25 years of age, died at 10:00 in the morning, on August 5, 1863. He left behind a grieving widowed mother and younger siblings. How could this be? Pliny was dying, yet he was completely happy, totally at rest. He met the worst calamity that could ever happen to anyone with a smile. Why? Because he had faith in the One who had promised him eternity! Only faith in our Heavenly Father can give such assurances. Pliny went to battle in complete inner rest, as he knew that no matter the outcome, he had nothing to fear. Do we truly believe as this young man, far away from family and friends, who died peacefully? We, too, can experience such rest amidst adversities! If we completely rest in the Lord. Dear Lord, We thank You for the perfect rest that only comes from You. Help us not let the things around us that happen take us from Your rest. In The Name of Jesus, Amen. Do we know what mercy really means? We may know its definition, but do we truly know its meaning? Those who face calamity get a hint of what mercy truly signifies, but only God can reveal to us its complete meaning. Leopoldine was the apple of Victor Hugo's eye. This was the same Victor Hugo who was the famous Romantic writer from France in the 1800s, and nothing surpassed his love for this fine daughter. On September 4, 1843, at just 19 years of age, she and her husband, along with a couple of friends, went for a boat ride on the Seine River near Villequier, France. They were still newlyweds at the time, and they were enjoying each other's company throughout this sailboat expedition. Suddenly a heavy gust of wind overturned the boat. Their two friends drowned immediately, but Leopoldine's dress became stuck, and she found herself trapped under the boat. Her husband, Charles, being a good swimmer, did everything he could to rescue her. Tragically, both ran out of oxygen and drowned. Victor Hugo was completely heartbroken when he heard this tragic news, so much that he wasn't able to produce any significant works for the next ten years. The tragedy, however, helped him realize what really mattered in life, and he became a bit more aware of what mercy means. 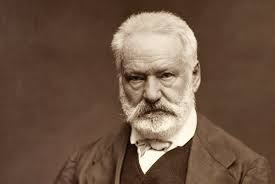 In 1862, 19 years after the drowning of his beloved daughter, Victor Hugo published his most renowned masterpiece: Les Misérables. In this work, Jean Valjean experiences mercy firsthand and it turns his world upside down. From being completely egocentric, he becomes a beam of hope, as his love for others puts him in the place where he can help the helpless so that they, too, could experience the true meaning of mercy. From a restless individual, Jean became a person who rested in love. What will it take to have you rest in love? Dear Lord, we thank You that we can rest in Your love any time we want to. We don’t have to wait till a tragedy. In the Name of Jesus, Amen. I heard a story about a young mother with three children. The phone rang one day and a voice on the other end of the phone said, "Honey, it's Mom. I called because I know that you're busy with the kids, and I want to give you some help. I'm going to stop by to clean the house, take care of the baby, and prepare dinner for when the boys get home from school. "I want you to get ready to go to my beautician, I've paid her already, and she's going to give you 'the works,' your appointment is at 1:00. Give George a call at the office and tell him that you'll meet him at Olive Garden for dinner, it's on me..."
At that point, the young mother interrupted and said, "George, who is George?" She said, "My husband's name is Fred." The caller said, "Oh, I'm so sorry. 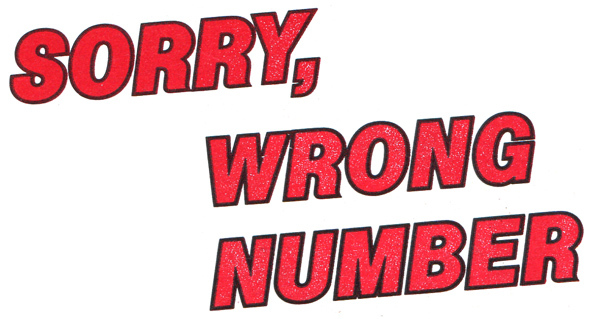 I've got the wrong number." After a pause, the young mother said, "Does this mean that you're not coming over?" Do you ever feel like you could use a phone call like that? Do you ever find yourself wishing someone would just come along and take care of things for you so that you can have a little rest? Back in the 1970's, there was a big concern that computers and technology would radically change how many hours a week people would work. In fact, there was testimony given to a Senate sub-committee forecasting that within 20 years, the average American would be working only 22 hours a week. They said, "The great challenge would be figuring out what to do with all the excess time." Now here we are, 40 plus years later, after major advances in technology -- how many of us are wondering what to do with all the excess time on our hands? Our world has become the world of the Red Queen of Alice in Wonderland. She said, "It takes all the running you can do to stay in the same place. If you want to get somewhere else, you must run at least twice as fast as that." It's one of the most beautiful promises in all the Bible. It was a promise made to the Israelites as they headed toward the land of Canaan -- forty years they traveled and traveled in the wilderness, until finally they arrived at a land of rest. And it's the promise made to those of us who are Christians as we look forward to heaven. The Hebrew writer says, "There remains therefore a rest for the people of God." (Hebrews 4:9). Dear Lord, we pray for that rest that can only come from You. Help us to take the time and rest fully in You and to slow down. In The Name of Jesus, Amen. It was spring, and hundreds of people were gathered in a small town for the annual Relay For Life event. Food, vendors, entertainment, but most of all a festivity celebrating money raised to help discover a cure for cancer. The original Relay began in 1985 when a colorectal surgeon-Dr. Gordy Klatt, walked and ran around a track for 24 hours to raise money for the American Cancer Society. The cure for all forms of cancer still eludes us, and people die daily from the ravages of the disease, but Relay has multiplied exponentially. Visit a pharmacy and witness our attempt to cure a single ill-the headache. 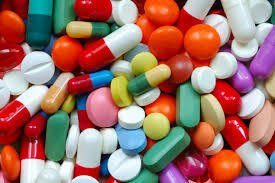 We have now specialized by offering different pills for various types of headaches. Is it related to stress, lack of sleep, allergies or congestion? We have the pill. But headaches return. And what pharmacy could keep a pill stocked that proposed to cure personal, physical, emotional and spiritual ills with one swallow? On one episode of the Andy Griffith show, Aunt Bee's Medicine Man, Colonel Harvey proposed to possess such a cure with his "Indian Elixir." To Aunt Bee and everyone else's chagrin, it was 85 percent hooch. But it momentarily placated the symptoms. Jesus' cure for what ails and weighs us down? Come to Him for rest. And the four gospels are full instances when he did just that. Healed the sick. Comforted the societal outcasts. Confronted those with misguided priorities. Lifted burdens added by the religious establishment. At the same time, his challenges were well, challenging. We're fond of searching for quick fixes for our physical, emotional and spiritual pains. A pill from a doctor, a trip to the counselor and a visit to the local church. All appropriate measures within a proper context. But Jesus invites us to come to him. To cry out and be honest about everything and everyone that's bothering us. He understands the pain and hurt and will give you rest, peace and insight. He's the cure all. All other proponents are shadows at best. When you're tempted to look to other sources for comfort and cures, remember Jesus has promised to provide peace and comfort. Dear Lord, we thank You that we can come to You for whatever need we have. In the Name of Jesus, Amen. Let us therefore strive to enter that rest. As a boy I took piano lessons from various piano teachers, one of the jobs of my teachers was to get me to work less. By that I don’t mean less practicing, but less working of the arm muscles. Because overworking arm muscles interferes with finger development. I was taught to "make every effort" to train the arms to relax so that my fingers could work freely and expressively. Unchecked tension causes the music to sound forced, weak, and unsteady. It can eventually cause pain, injury, and even the end of a musical career. I see a spiritual parallel. Christians are cautioned to "make every effort to enter [Christ's] rest". This is not a passive affair. It takes "every effort" to cease from fruitless striving and enter into Christ's rest. As we come to rest in Him, then He can make beautiful "music" through us. 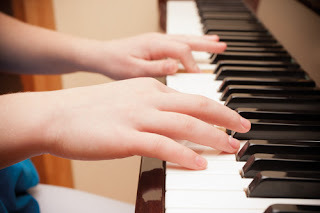 Think of me as a beginning piano student: At my first lesson, I discover that my fingers are so weak that they may make no sound at all — especially the pinky finger. My reaction was predictable. Instinctively, my arm pushes down on the hand in an attempt to compensate. Poor little finger! With such force bearing down on it, it merely collapses on the keys. A little finger cannot develop its potential until the bigger muscles learn to rest. This really does take "every effort" — involving intentional and careful practice. Do you see yourself as an over functioning muscle? Are you habitually overworking? I'm not referring to physical work. Perhaps you strain your mind with anxiety and doubt. Perhaps you work too hard trying to prove your love-worthiness, or you are habitually working to absolve your sense of guilt. All these besetting habits deplete your energy and squelch God's Spirit. Perhaps you have a habit of overcompensating for weaker "muscles": You do what others should learn to do. Perhaps you do the thinking for them, or the worrying. Such efforts merely hinder them from growing into maturity. In the long run, the entire Body of Christ suffers. Just as for piano students, it takes "every effort" to surrender fruitless habits and to adopt new, effective life habits. Really, it's a joint effort involving support, encouragement, mentoring, faith, prayer, and so forth. This is how we come to function harmoniously — and make beautiful "music" together — displaying God's glory to a fallen humanity. Dear Lord, open our eyes to the fruitless habits of overworking. Help us to completely rest in You and to draw on Your gifts of grace. In the Name of Jesus, Amen. In our day and age we have a hard time understanding the word "Lord". It's truly a foreign concept to us. In the past, however, this concept was perfectly understood. Let's flash back to the Middle Ages, to one of the castles of that time period . . . In those days, the Lord was the one who had complete control of the castle. His word was law, and any disobedience would result in some kind of punishment. The castle rotated around this lord's wishes, and all the inhabitants in the surrounding land lived to please their lord. The only way to get away from his lordship was to run away to another castle, where another lord reigned. Or they could try and assassinate the lord of their own castle, to take over his power . . . 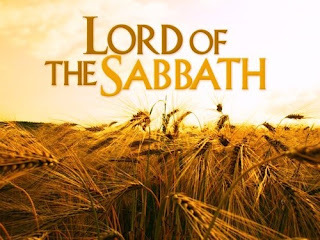 Unlike these "lords" from the Middle Ages, Jesus referred himself as "Lord of the Sabbath" or in other words He was the only One who has complete control over the Sabbath. The Sabbath was an opportunity for people to spend time with God and to get to know Him. Jesus' Lordship was not to dominate, but to offer an opportunity to getting to know Him. Instead men added their own numerous human laws to protect the notion of the Sabbath, making the Sabbath a laughing stock to outsiders. Such human laws still exist today in some churches who proclaim that the Sabbath is still in effect. For example, people are greatly discouraged to swim during that day, but it's OK to use a canoe. Members are criticized if working on Sabbath, but going door to door to try and bring more people into that denomination is okay, and of course pastors can work on the Sabbath. And you can't get gas if the only option is full-serve, or if you have to use an attendant to pay for the gas. But a self-serve, pay-at-the-pump is okay. Man has a tendency to always want to be in control, even over God. This is when Jesus pointed out that "the Son of Man is Lord of the Sabbath." 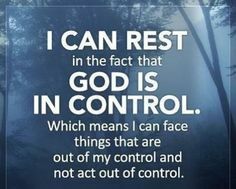 (Matthew 12:8) He, not some human being, is the One who is control over our rest! No human institution or law can bring us true rest. Only our Lord and Master can do this, if we listen to Him! Remember what the people might consider in order to get rid of the lord of their castles? They might consider murdering him, and this is exactly what happened to Jesus. He was falsely accused and murdered on the cross. After all, we must never lose control! Why worry when we have Jesus as our Lord? He is the only One who can truly give us rest, even amidst extreme turmoil. Dear Lord, thank You once again that You are in complete control. We thank You that You are the Lord of our life, help us to rest in You. In the Name of Jesus, Amen. A family in Texas was facing unimaginable odds. Mom was expecting a baby in two weeks, but dad was dying. The year before he had been diagnosed with colon cancer, and although surgery and chemotherapy were considered successful, ten months later he began experiencing a breathing problems, and two months after that, he was so sick that he was admitted to the hospital and diagnosed with pulmonary fibrosis. The cause? More than likely, the very chemotherapy that had saved his life. Thirteen days later, the news grew even grimmer. His condition was fatal; he had only five to six days left to live. His baby wasn’t due for another two weeks. He would never get to see his baby girl. Dad had only one wish, a wish so dear to him that it touched mom’s heart: “I’d like to see my baby”. Mom requested to have her baby induced two weeks early, and the procedure was scheduled. Dad and mom lay next to each other during the delivery, dad in one bed, mom in another. As soon as the baby girl was born, she was placed in her father’s arms. He wept as he held her, and the next forty-five minutes must have been the most special in his life. But then exhaustion stepped in, and he had to relinquish his baby. Due to his weakened condition, dad was only able to hold the baby twice over the next two days, and then, only for a few minutes each time. Sadly, when the tiny baby was just two days old, dad slipped peacefully into a coma and passed away two days later. There was another father who was dying to see his child. In this case, his child had wandered away from home with his part of his inheritance. Dad had no idea where his son was, but he walked up the hill daily to scan the horizon. “Maybe today will be the day when I will see my son again!” He never gave up to this ardent wish, and year in and year out, he scanned the horizon for this prodigal son. After spending all his money on wild living, he found himself feeding pigs, longing to be able to eat even the pods these pigs were eating. “I will set out and go back to my father . . .” (Luke 15:18a) He is my father after all! “. . . And say to him: Father, I have sinned against heaven and against you. . .” (Luke 15:18b) I truly have missed the mark! I thought I had it all in control. Look at me now: feeder of pigs! What kind of control did I truly ever have? My waywardness was truly a rebellion against my dad and his reign. Wow! Have we ever realized that ourselves? None of us truly are! Even our meager sacrifices are insignificant compared to what Jesus did for us on the cross! Even if I could be just a fly on the wall in my Father’s kingdom, I would be truly completely satisfied! Sooner or later we all realize this fact: We may imagine that we are in total control, but our controlling nature is really a rebellion against the authority of our Father in heaven! We are either a Christian who gives all authority to God, or we are wasting our time performing our weekly pew-warming activities. We cannot just accept Jesus as our Savior without accepting Him as our Lord as well. Just like we can’t drive a car without gasoline! The “it’s MY car!” philosophy will not help keep the vehicle moving. We have to accept the fact that it can only function with gas. What can we expect, when we give ourselves, just as we are, with all our imperfections, over to the will of God? There was a great celebration right then and there! The only thing this wayward son had ever done right was to simply go home! Going home means we accept the sovereignty of our Father. We understand that He truly cares for us, despite what our opinions may have been during our wilder days. Let’s remember that this same son had turned his back on his dad in favor of wild living, a living that was diametrically opposed to his father’s wishes. However Dad never opposed him. Opposing would only have made matters worse. Instead Dad kept on praying for his wayward son to come back home. And after years of patient waiting, His prayers were, indeed, answered. Your loving Heavenly Father is also scanning the horizon, looking for you. His only wish is for you to come back home and hold you in His arms. How much does He love you? 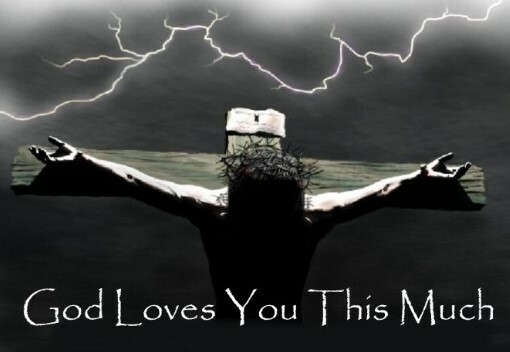 So much that He was willing to die for you on a cross. Dear Lord, we thank You that even when we weren’t looking for You, You were looking for us. Help us to not stray form You but keep focused on You. In the Name of Jesus, Amen. Give it to God and leave it in His control! Sometimes in life things come at you in a slow trickle and other times they gang up and hit you like a category 4 hurricane. So far 2016 has been like a hurricane for us battering us from all angles. As I had my devotions this morning I focused on Psalm 23 verse by verse. Verse 1: No matter what I don’t have to want for anything. Verse 2: Unaldurated stress-free rest throughout life. Verse 3: Refreshment of our inner soul + worry-free guidance from above. Verse 4: Fears become an unknown, even when facing our worst adversities. Even death cannot faze us! Verse 5: We are provided for, even amidst penniless circumstances. Verse 6: Love from above becomes our constant. However when we hand everything, and I mean everything: house keys, wallet, job concerns, health worries, broken relationship and anything else that may occupy our thoughts, to God, something particularly special happens. Worry seems to evaporate into nothingness. God is truly in control! It's true that at times some concerns seem to reappear from seemingly nowhere, but each time this happens, we need to ask our self: Have we left that particular concern in God's hands? Or have we stolen it back? Dear Lord, we thank You for the rest that You grant to each of us. We thank You that You are in control of everything. Help us to give our worries and concerns to You and not take them back. In The Name of Jesus, Amen. True rest is in Him. Are you resting in Him today? Is God's love in what you do? Are you outside God's cozy shelter?